4 common questions I’m asked about today’s property markets and some answers you can use right now! 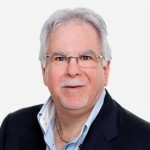 With so many mixed messages currently surrounding property I thought I should give you some insights based my 40+ years of experience in property and having built what some would suggest is a very substantial property portfolio. If you’re reading what I’m reading in the media some are saying we’re in for a few more great years in property and others are already saying the market has run its course and we’re heading for a downturn. Obviously the last couple of years have been an emotional rollercoaster for many property investors haven’t they? We’ve had ups, downs and everything in between. It has also been a time that proved some people right… and others wrong. Remember all those terrifying headlines a few years ago? It was not really that long ago that all those so-called “experts” told us property values would drop through the floor. Others told us to sell up our properties and still others said it was the end of capitalism, as we know it. Did all the scary headlines come true? Sure some property markets performed considerably better than others. And yes…the boom is over on both the Sydney and Melbourne property markets, but that’s after a number of years of massive capital growth. Sydney’s median property price rose 64% over the last 5 years with many suburbs performing much, much better than this and the median price in Melbourne rose 56.4% over the last 5 years. According to the CoreLogic Home Value Index, overall national dwelling values at August 30 2018 were only -2% lower than 12 months ago. It looks like this time we’ll have a soft landing because our economy is still chugging along nicely as is population growth and we’re in a low interest rate environment. In 2011- 2102 rising interest rates brought our property markets to a halt, however (unless you bought in mining towns) prices didn’t really collapse, did they? It was just like the other economic downturns and recessions I’ve experienced before, you feel terrible when you’re in them and even worse when you can’t see the end. But when the clouds lift…those who had a sound investment strategy and understood the fundamentals of economic and property cycles ended up in a financially sound position. What I did notice was that property downturns weeded out two distinct groups of people? Firstly, and unfortunately, a large number of investors disappeared. Especially those who invested in the wrong types of property and had to sell up. And that is particularly disappointing as, while some properties fell in value, unless you bought in some mining towns or holiday locations, most didn’t fall in value “that much” and many have grown significantly in value. Why did those property investors need to sell up? Well… some were given bad advice and sold up for the wrong reasons. Others sold up because they had over leveraged themselves or got involved in the wrong type of loan (maybe once again based on poor advice). Yet others had bought the wrong type of property (often based on emotion rather than research) and found its value hasn’t risen much, or in some cases prices fell. For other investors their hunger for a quick return took them into exotic terrain. They forgot the fundamentals of buying well located properties in the right locations of our capital cities (areas with multiple drivers of capital growth) and ventured into things like property options, buying off the plan or house and land packages, usually to their detriment. “Never invest in something you don’t understand”. So one group that disappeared during the last downturn was inexperienced or ill informed investors or those that did not have a sound property investment strategy. Many of these people thought they were investing, when in fact they were speculating. You know what I mean…they bought a property and hoped or prayed it would go up in value, rather than sticking to tried and proven investment principles. No one ever said property investment was easy (or if they did they were lying to you), but if you are one of those who had a sound strategy and held on to your properties, you are likely to be way ahead – so congratulations! Another group that disappeared in the last downturn were many of the self styled “property gurus”. Those who looked smart during the early stages of the property cycle and led many inexperienced investors astray (remember: a rising tide lifts all ships). “Only when the tide goes out do you discover who’s been swimming naked”. Unfortunately the strong property markets of the last few years has bought out a fresh group of “property pretenders”. I’m regularly getting emails in my inbox telling me how I can buy properties with my lunch money, how I can attend a weekend seminar and consider giving up my day job or I can buy 7 properties in 7 years. Yes…the cycle has definitely come a full circle. So what can we can learn from what happened in previous downturns? Or will we be doomed to repeat it? Here are the 4 common questions I’m asked about in today’s market and some answers you can use. How would you categorise the current property market? What strategies are working in the current markets? 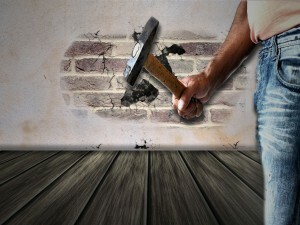 What is the biggest challenge facing property investors today? What advice would you currently give to investors? I guess I should also make it clear that there is not one property market. 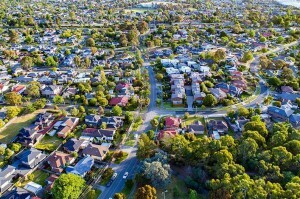 The Melbourne and Sydney property markets are taking a breather – while the value of some properties are falling, many “A” grade homes and investment grade properties are still in short supply and holding their values. Of course, each State is at a different stage of its own property cycle and even in each capital city there are multiple property markets, some defined geographically and others by price. 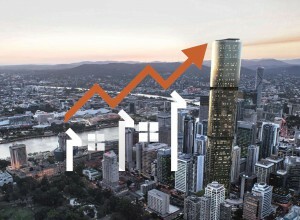 The Brisbane property market has picked up and there seem to be more growth drivers than there have been for a long time, suggesting it will be the top performing market over the next few years, but prior to that it lagged behind the southern states for a number of reasons including slower population and economic growth. However despite this market turning, while some suburbs are experiencing strong capital growth, at the same time other locations are still flat. Some parts of the Brisbane market are hot and others are not. You have to know the right places to invest and the right properties to own in these locations. And this stage of the property cycle is ideal for the value add techniques of renovation or development – I’ll explain more in a moment. 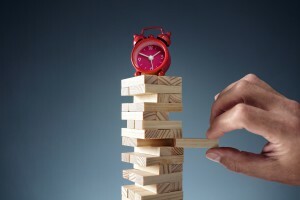 The Sydney and Melbourne property markets have now moved into the slump phase of their cycles, but during this soft landing there are some great opportunities, but there are now clearly some areas to avoid! With much lower capital growth likely in the next few years than it was over the last years, this is the right time to buy properties where you can “manufacture” capital growth through renovations and development – I’ll explain how in just a moment. In Perth property has been falling for four years and while prices are likely to bottom out over the next year there is little prospect of capital growth for a number of years. The Hobart property boom will fizzle out later this year and Adelaide will keep chugging along, while Canberra should perform well until it’s seasonal bout of pre election jitters. The current climate it’s an ideal for adding value and “manufacturing” capital growth through renovations and small townhouse development projects. In fact these are 2 of the concepts I will be discussing in depth at my upcoming annual Property Development and Renovation Workshop, where we will be teaching attendees how to get started in property development and renovations, amongst many other advanced property investment concepts. By the way these aren’t the only markets you can invest in, even though they are our biggest property markets. At my Property Development and Renovation Workshop I will be giving detailed research for all the Australian property markets in a small classroom environment which means you will get all the information you need – in fact you get my personal guarantee of satisfaction. That’s why I really think you should join us – click here and find out more. So what type of property do you buy? 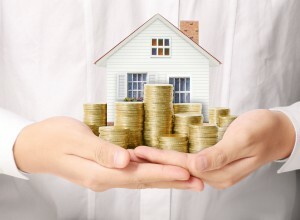 This depends a little on where you live, how much money you have and your property investment strategy. In other words they will only be able to buy one or two properties in the short term. So to outperform the averages they will have to base their investment decisions on independent research and advice, and not buy on emotion. What’s independent research and advice? Sometimes it is a little hard to tell, with so many people out there suggesting you should listen to them. One way is to see who pays them. Are they being paid by the seller, the developer, the project marketer? Even if they back their suggestions with research, you might ask – is it really independent or is it “coloured”? At my Property Development and Renovation Workshop I will explain exactly how we do our research, what research services we use and the tools we use. If you want to learn to become a super successful property investor please click here and find out all about Australia’s leading advanced property training. Then book one of the early bird seats on line before they all go or call Jo Fitt on 03 9591 8888 to discuss the curriculum, the networking opportunities and the 9 bonuses. By the way…your satisfaction with the program is backed by my personal money back guarantee. 2. 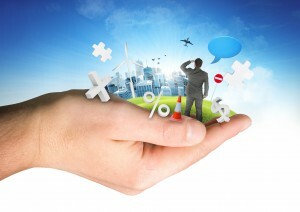 What investment strategies are working in this new market place and why? There are lots of investment strategies and most readers know mine is to buy well-located properties for capital growth, add value and then hold for the long term. Obviously there are other strategies and I understand why many beginning investors think they need cash flow to own properties. I guess the first thing is to have a strategy, to have a plan and then to stick with it. 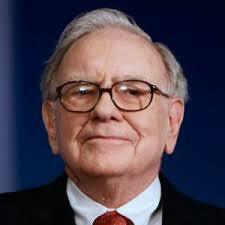 Too many investors do not have a clear strategy and they get easily distracted. They buy because someone tells them the property will go up in value or they will be given a perceived discount, and not because it will help them achieve their goals. 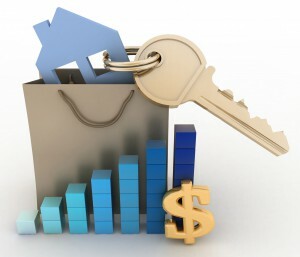 Are you buying for capital growth? Or maybe you are buying for yield? Or to add value? As I said…too many investors buy without having a clear strategy. Most investors I speak with want to develop financial independence and are looking for investment income to replace their personal exertion income. So they are really after cashflow. And that’s why many get into cash flow properties, thinking that’s the answer. But it’s really hard to become financially independent from cash flow positive properties. It’s just too hard to save the deposit for your next property from the after tax proceeds of cash flow positive properties. At my Property Development and Renovation Workshop I will show you how most investors need to build a substantial asset base first, before they can have their own “cash machine” and then I will explain clearly why capital growth is the way to go. In the next few years the growth in value of “investment grade properties” will outpace the growth of the average property. 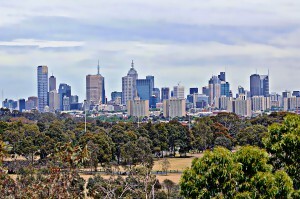 Firstly choose the right State in Australia – one in the right stage of the property cycle. In that State choose a number of locations that have always outperformed the averages with regards to capital growth and will do so in the future because of the demographics of the people living there. I particularly like suburbs going through gentrification which are likely to experience strong capital growth. Properties in these locations must obviously fit into your budgeted price range. Within these suburbs choose locations that are more desirable than others – you know in your own suburb, there are areas where you would live and others you would avoid. In these locations target streets with the right appeal. 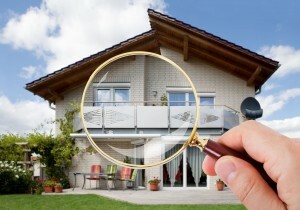 Within your target areas choose the right type of property – one with an element of scarcity or with a “twist”. Currently we’re buying established medium density properties with scarcity value and renovation potential, or old houses on sites with development potential. Do your research and buy the right property at the right price. Now this doesn’t mean buying a bargain – that’s almost impossible today as our markets hot up, but you should buy below the property’s intrinsic value. I then like “manufacturing” capital growth by undertaking renovations or development and adding value to my properties. 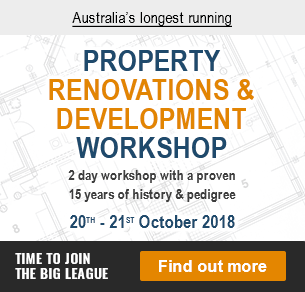 At my Property Development and Renovation Workshop our faculty of property experts will explain exactly what type of property to buy and how to go about doing it including all the research, how to buy at auction and how to negotiate like a pro. We will then explain what’s involved in property renovations and developments, including giving you my exclusive property development manual. If you want to learn to become a super successful property investor please click here and find out all about Australia’s leading property training. Then book one of the last available early bird seats on line or call Jo Fitt on 03 9591 8888 to discuss the curriculum, the networking opportunities, the bonuses and my personal money back guarantee. This workshop is conducted in a small class room environment and it is nothing like our one day seminars. In it I “spill my guts”. I tell you everything – lots, lots more than is in the books or in one day seminars and stuff that is not on the Internet. 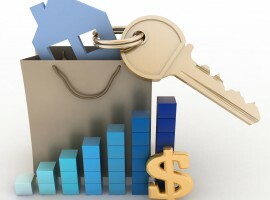 As the market picks up more and more people will find well located properties unaffordable. The mistake many investors are making is considering cheaper properties, thinking they will remain affordable. This is the end of the market that will hurt the most when interest rates start increasing, as they inevitably will. Yet at the same time the residents of the middle ring suburbs will always have more disposable income and push up the value of properties in their suburbs. The bottom line is the rich will keep getting richer. House and land packages in new estates. 3. 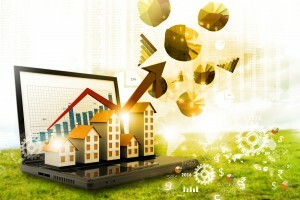 What are the biggest challenges facing property investors today? I think the biggest stumbling block for many property investors over the next few years will be finance. But there’s nothing new here. Today those who understand how property finance really works will still be able to borrow to build substantial property portfolios. They will need to understand what banks look for when assessing how much they will lend you, how to chose different lenders and more importantly in which order to choose them (this could increase your borrowing capacity considerably) and how to unlock equity by uncross – collateralising their loans. At 2 extended sessions at my Property Development and Renovation Workshop two leading finance strategists will explain how to structure yourself to maximise your borrowing capabilities and beat the banks at their game. And if you want to, they will spend as much one on one time with you as you need to answer your own questions privately. 4. 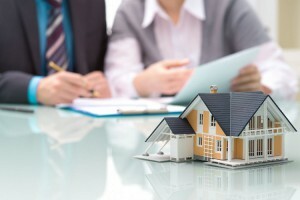 What advice would you currently give to property investors? We are working our way through a phase of the property cycle where there will be some great opportunities for a select group of property investors who know how to take advantage of it. Last time we were at this stage in the property cycle most investors bought the wrong types of property and missed out on the profits made by a small group of strategic investors. So if you do what most investors do, and if you listen to who most investors listen to, you will get the same results most property investors get. And we know that most don’t ever get the financial independence they deserve – 90% of property investors never get past their first or second property! 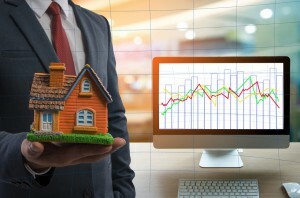 As the property cycle moves on investors who embrace the changes, focus on sound investing fundamentals, and take a long-term perspective to their investing will come out ahead in the long run. Staying on top of the economic fundamentals (separating the facts from the opinions) will be essential to not only survive but prosper in today’s market realities. Education and knowledge will be critical to your success. 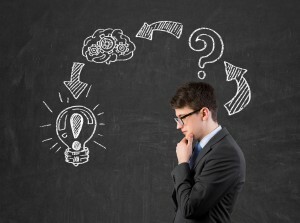 After having the right mindset, the most important asset to a real estate investor is their knowledge. In today’s era unbiased expert information is a critical asset. Keeping on top of, in fact keeping ahead of, the ‘reactionary masses’ is critical for your long-term success as a property investor. The best advice I can give someone looking to invest in today’s market is to take your time, surround yourself with people who will support you in your goals and to get fully educated by people who are taking action. And that’s why I would like you to consider coming to Australia’s leading advanced real estate training – my 2 day Property Development and Renovation Workshop being held in Melbourne on October 20th and 21st, which has long been considered Australia’s premier property training. It’s not really that long to go now, so please click here and get all the details and reserve one of the early bird spots that are left on line. Or call my assistant Jo Fitt on 03 9591 8888 to discuss the curriculum, the networking opportunities, the bonuses and my personal money back guarantee. I’ve put together Australia’s best faculty of property investment, finance, development, renovation and tax experts. All “real world” people who have done it themselves and maintained their wealth in the long term. Only our Property Development and Renovation Workshop attracts dozens of top property investors in one place, so you will not only learn from the speakers but have amazing networking opportunities. You will be rubbing shoulders, learning, eating, drinking and playing with these folks in a relaxed atmosphere. Just 5 minutes with the right person could radically change your investment outlook. 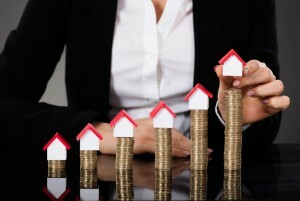 There are many different property investment strategies. If you find just one strategy that suits you and works right now your property profits will take quantum leaps. That’s why I’ve carefully hand-pick the presenters to give you dozens of proven property investment strategies that work now in this new environment. The More Successful People You’re Exposed To, The More Successful You Will Become! They’re approachable, candid and willing to share their inside secrets and disclose some of the most coveted tips! 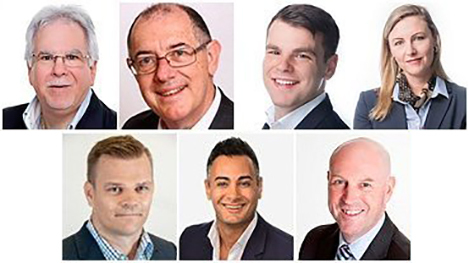 Quite simply, we bring together some of the best property minds in Australia for three days to literally give you a mental brain dump of information. We condense decades of time-tested, proven business strategies, and reveal them to you in a closed door, private environment. Unlike many other seminars, our teachers are not just speakers who run businesses in their minds and speak for a living. 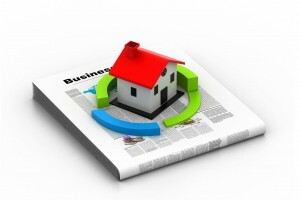 They are actively involved in the property markets themselves, day in and day out. And most will stay there for most of the weekend to answer your specific questions. I only run this event once a year and I only conduct it in Melbourne and this year I’ve added more content and reduced your investment. Plus I’ve added 9 bonuses. Click here now and get all the information then reserve one of the few remaining early bird special price places left. At the time of writing there are still early bird places left, so join us in our small class room environment for 2 days in October. Or call Jo Fitt on 03 9591 8888 to discuss the curriculum, the networking opportunities, the bonuses and my money back guarantee. Do you have any views on buying a house within an area that has many units to be developed? Does oversupply of units trickle down and affect the prices of houses? I’m thinking of purchasing a house in Blacktown but I’m weary of the many apartments that are popping up in the area as well as around Parramatta. That ‘savvy’ investors bought into mining towns with no diversification proves that this kind of investor is still being born every minute.